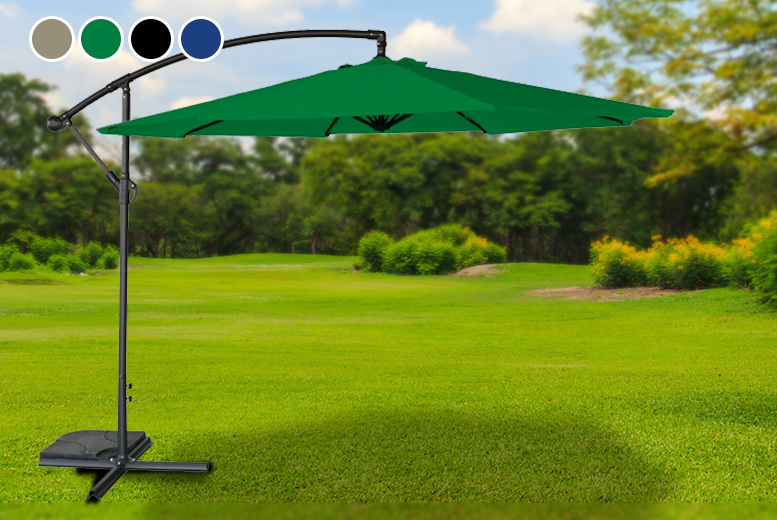 Get a deluxe banana parasol in one of four colours: black blue, grey or beige. Open it up using the hand-crank mechanism. Then adjust the angle throughout the day. Brilliant for making the most of the summer!